On April 25th, Jose Parla will be returning to Bryce Wolkowitz Gallery in New York for another solo show featuring a series of new paintings and reworked found objects. 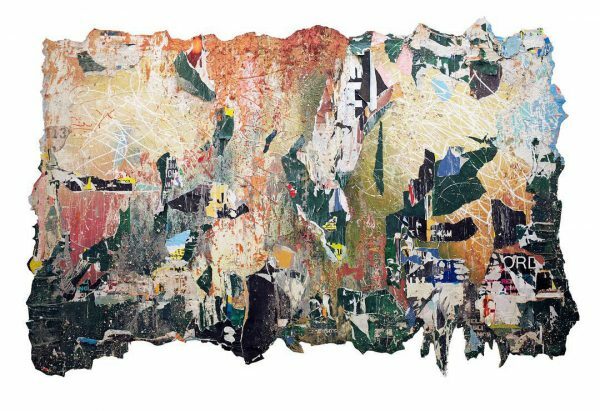 Entitled Anonymous Vernacular, the new body of work will include pieces that combine a collage of fragmented advertising posters he has collected with his signature calligraphic urban scrawl. Rounding out the show will be a sculpture piece that pays homage to those who live on the streets collecting bottles from all over the borough to turn in at the local recycling center. Categories: Contemporary Art, Shows & Events, Street & Urban Art. Tags: Contemporary Art, Jose Parla, New York, Shows & Events, Street & Urban Art.